Our collection of signature flavors is great for bringing people together. And nothing brings these flavors together like a delicious wine that perfectly complements the savory, smoky classics. Three of our original summer sausage varieties, four favorite cheeses, two of our famous mustard flavors, and two perfectly snackable nut mixes make this gift box perfect for sharing at a party. These snacks taste even better with a glass of Regalo Valley Ranch Cabernet Sauvignon. 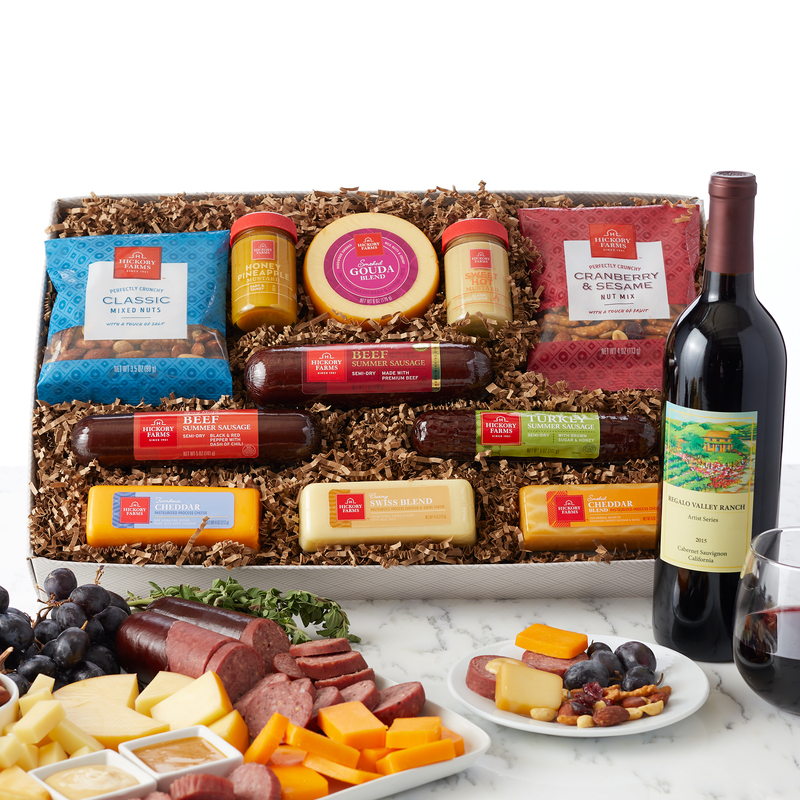 Send this wine gift to your favorite party host to help them create the perfect meat and cheese spread!